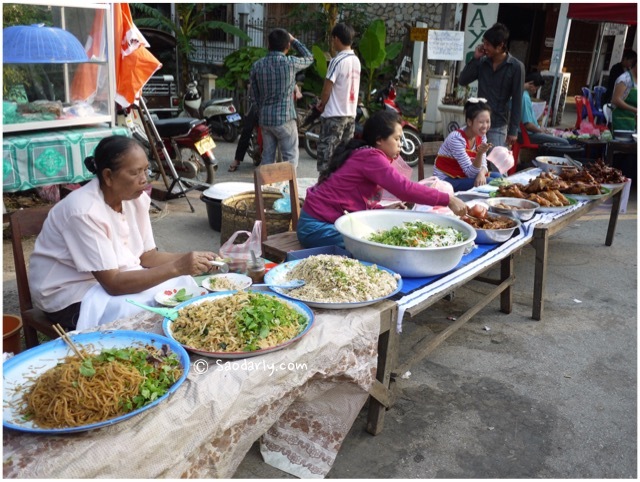 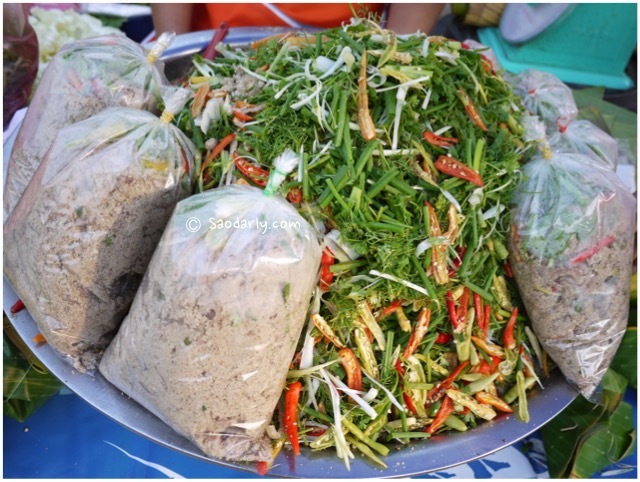 There were plenty of Lao Food dishes at Luang Prabang Market Fair for all the young and the old. 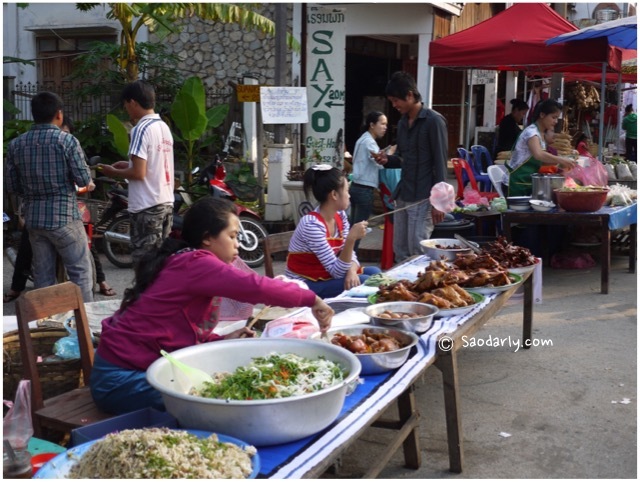 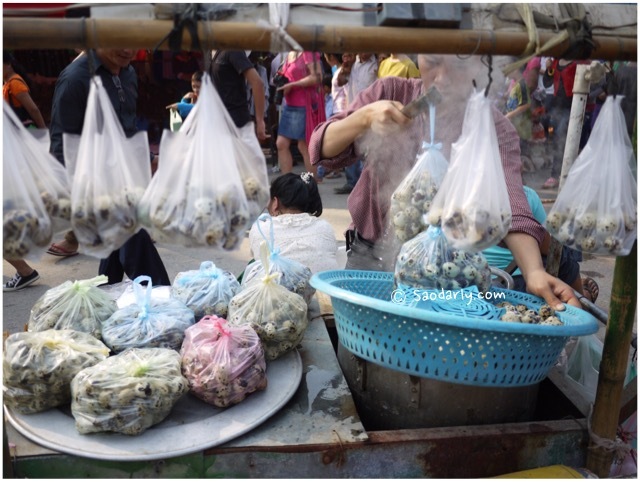 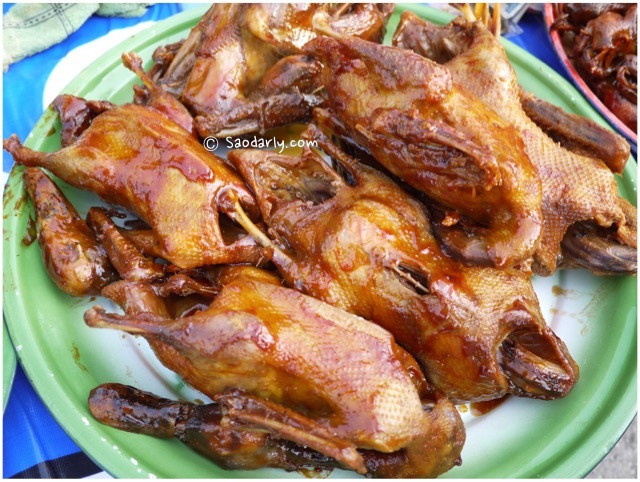 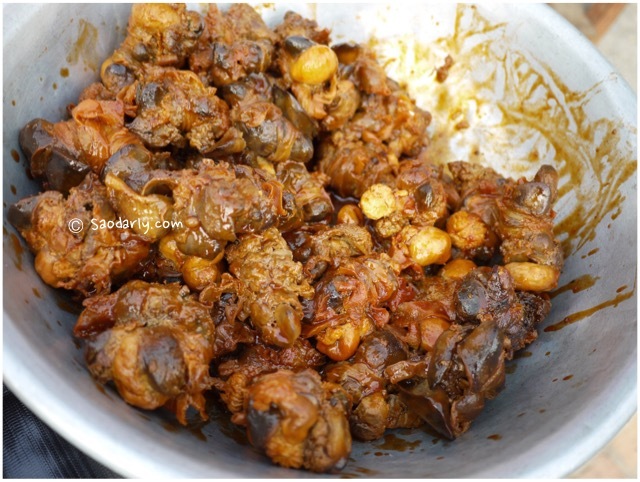 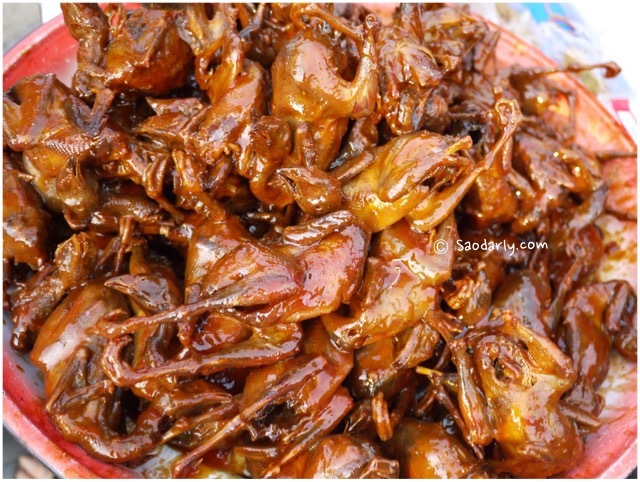 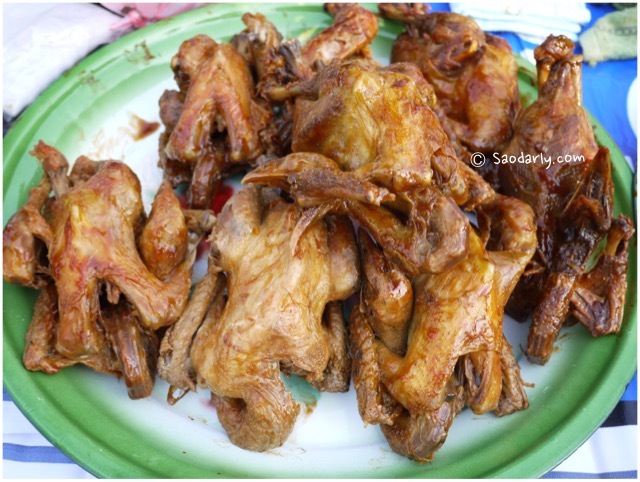 Next to the noodle stalls and the Nam Varn stalls, there were many old ladies selling specialty snack like Miang Nung Moo and roasted birds and grilled chicken and other featuring creatures. 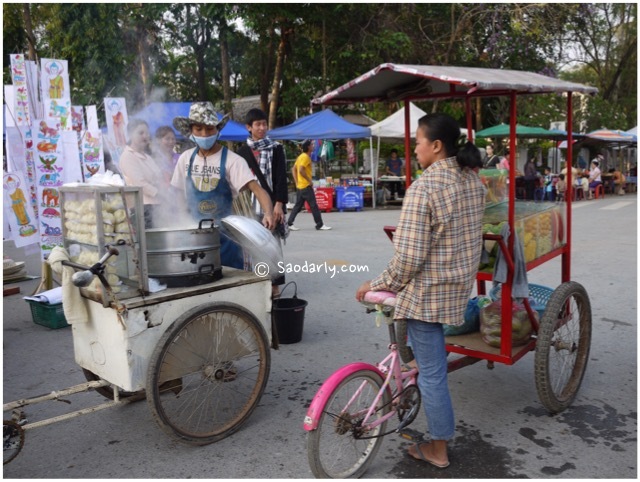 It was too warm for me to examine all the food stalls. 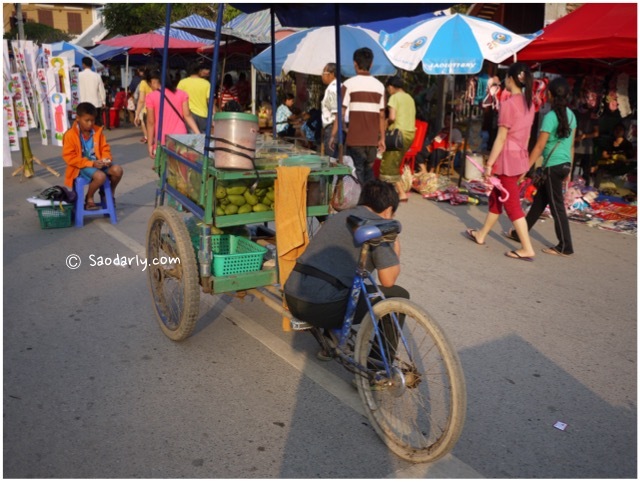 I was getting dizzy after taking a few photos and video clips. 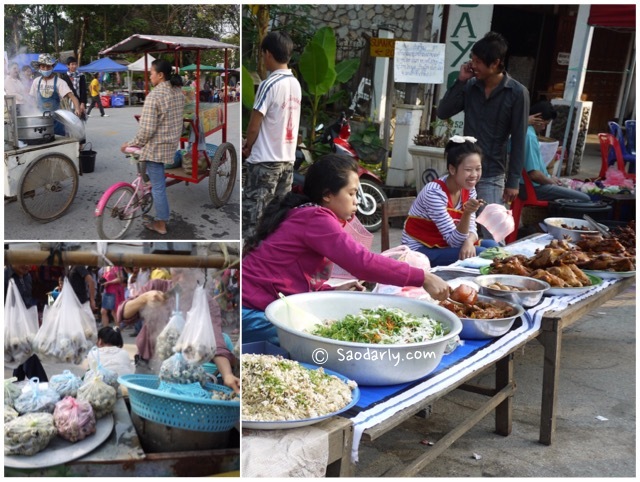 It was only the first day of Lao New Year Celebration in Luang Prabang and I didn’t want to wear myself out and decided to look for something to eat and to hide from the heat.